When going on holiday most people want to relax. And for most people relaxation means tranquillity, peace and quiet, privacy and time away from the stresses of daily life. Unfortunately, large hotels and resorts can provide the opposite of the aforementioned holiday because of the sheer amount of other tourists and guests, kids of all ages, and even pets. Fortunately, there is a solution. When planning a holiday to Fuerteventura one should consider renting a space in an apartment hotel. These are basically apartments/flats that are rented out to tourists and holidaymakers, and are not actually occupied by the owners or traditional tenants. These are typically self-catering accommodations. These range from affordable studios to luxury apartment, so there is something available for all kinds of budgets. The prices usually begin at a rate of 170 Euros per week and up. 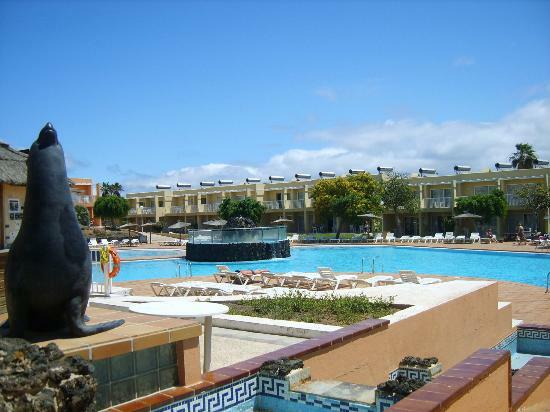 Below are some of the most popular of these apartment hotels in Fuerteventura. There is a resort of the same name, Lobos Bahia Club, which is a resort. However, there are apartments for rent also called Lobos Bahia. The resort has the obligatory restaurants, a nightlife, and shopping centre, as well as large swimming pool. It is also just 300 meters away from the beach. When renting one of the apartments one can enjoy some privacy and quiet while still having the option to enjoy the usual resort activities when needed. Lobos Bahia is located in Corraleja on the island. These holiday apartments are only 200 meters from the sheltered beach Caleta de Fuste. This apartment complex has around 91 apartments on offer, and are designed with a very Mediterranean feel. There is one large private pool that is shared by all of the apartments in the complex. Though it is not located on a resort it is close enough to one so that one can still enjoy restaurants and shopping, activities, etc. This is one of the smaller holiday apartment complexes on the island. It is also located in the Corraleja resort of the island. The complex has a villa style design for the ultimate holiday feel. It is also very close to the nearest beach, La Galera, just 400 metres. Since it is located in the resort there are tons of restaurants, bars and shopping to enjoy. It is also closer to the outskirts of the town, as opposed to some of the other hotels, and so there is easier access to the towns for some local culture and cuisine. It is also close to the beautiful, world famous and environmentally protected sand dunes. Above are only three of the many hotel apartments that are available to holiday makers on the island of Fuerteventura. This type of accommodation is also excellent for families going on holiday together and do not want to rent numerous rooms in traditional hotels. Here one can enjoy the comforts of home and relaxation in one of the most exotic locations in the world.